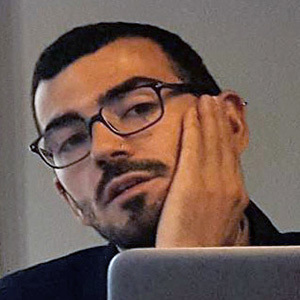 Christian Alonso (Lleida, 1987) is a PhD candidate, research and teaching fellow at the Department of History, Theory and Aesthetics of Contemporary Art of the Faculty of Art History of the University of Barcelona. His research expands simultaneously in two intertwined fields: on the one hand the academic sphere, and in the other hand, research-based curatorial practice. He focuses on aesthetics, theory, and historiography in the analysis of the intersections between critical artistic practices, visual culture, activism and pedagogy. Currently developing a thesis on contemporary art and ecology in the Anthropocene, directed by Dr. Anna Maria Guasch (University of Barcelona) and Rick Dolphijn (Utrecht Universiteit). Christian has coordinated different academic events such as International Conferences, Symposia and Seminars on contemporary art and critical thought. Coordinator of the four editions of the program on curatorial studies On Mediation (2013-17), coordinator of the Ist International Symposium Mutating Ecologies in Contemporary Art (Macba, 2016), curator and artistic director of the exhibition Machinic Recompositions (Can Felipa Cultural Centre, 2017), co-curator of the exhibitions Enésima Intempestiva (àngels barcelona – espai 2, 2016); Tedium Vitae (ADN Platform, 2015); Barcelona Inspira (Cercle Artístic Sant Lluc, 2014), and initiator of different self-managed projects. From October 2011 he is been collaborating with the research group AGI (Art, Globalization, Interculturality) in the frame of the project Critic cartography of Art and Visuality in the Global Era: New Methodologies, Concepts and Analytical Approaches directed by Dr. Anna Maria Guasch at the University of Barcelona through a Predoctoral Scholarship provided by the Spanish Ministry of Economy.